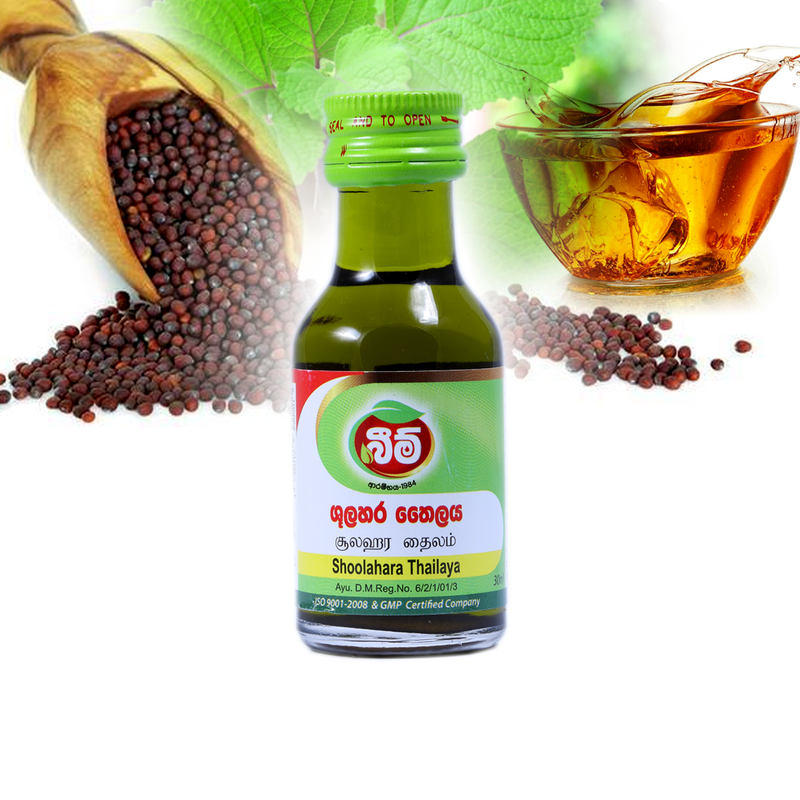 Ingrediants Mustard seeds (Brassica juncea), Mee thel (Madhuca longifolia) , Wandu kapuru, Walmee (Glycyrrhiza glabra) , Turpentine and etc. Therapeutic Effects Recommended as an external application for muscular pains in the chest and limbs. Excellent application for joint pains, contusion and sprains. For external use only. ගුණ: සෙම් කෝපය නිසා හටගන්නා දෑලවර වේදනා, ශරීරගත විවිධ වාත ශුල, වැටීම් ආදි හේතු නිසා ඇති වන තැලීම්, උලූක්කු, සන්ධි පෙරලීම් ආදී අවස්ථාවලදී පිටතින් ගෑම සඳහා යෝග්‍යයිි.